The long, purple-spiked seed heads of this clump-forming prairie grass add late summer & fall interest to prairie & meadow plantings. Longspike tridens tolerates a wide range of conditions; it can grow in areas with salinity issues and low fertility, though it favors sandy, well-drained soils. 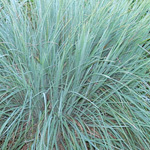 Longspike tridens is reportedly a short-lived perennial. 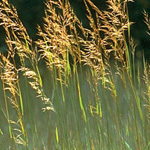 However, this warm season grass produces lots of seed (130,000 seeds per ounce) that germinates quite easily.